Jefferson Airplane, White Rabbit , Live from Woodstock 1969 with Lyrics by John Anderson. 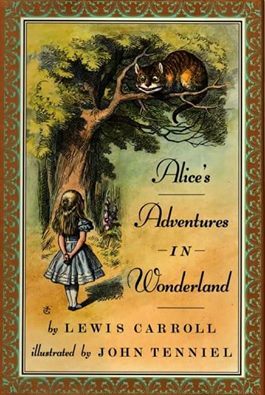 Grace Slick's Lyrics are based on her early life as a child, being read the books of Lewis Carroll's 1865 Alice's Adventures in Wonderland and its 1871 sequel Through the Looking-Glass ...hence the references to the hookah-smoking caterpillar, the White Knight, the Red Queen, and the Dormouse. Grace Slick was born Grace Barnett Wing, October 30, 1939. Copyright Disclaimer Under Section 107 of the Copyright Act 1976, allowance is made for "fair use" for purposes such as criticism, comment, news reporting, teaching, scholarship, and research. Fair use is a use permitted by copyright statute that might otherwise be infringing. Non-profit, educational or personal use tips the balance in favor of fair use.